4shared.com is an online website that offers free download and upload of files. With 4shared.com, you are able to search and download the type of the music that you want. It hosts a variety of MP3 songs, and you can download music for playback on your mobile devices and PC/Mac. 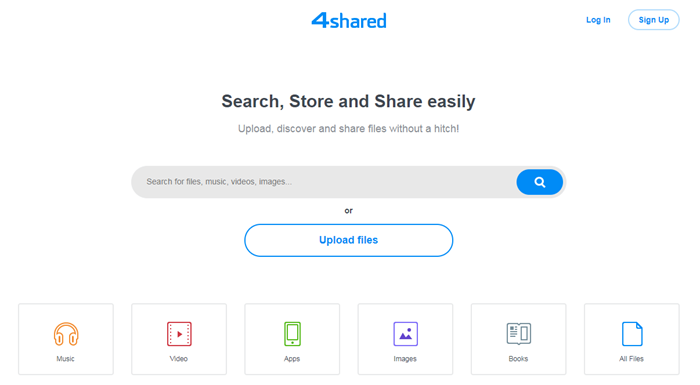 4shared.com also gives you an easy way to upload documents and music files to help store or share your data with other people. In 4shared.com, you can search for files, videos, music, and images among others and download them to your computer for offline use. You also play music on the site if you do not want to download it. 4shared.com offers a straightforward and easy interface, which contains four simple steps as described below. Step 1: Open 4shared.com. Using any browser open 4shared.com through this link https://m.4shared.com/ to search and download your favorite songs. Step 2: Search for the music you want to download. Once the site opens, type the name of the song that you want to download on the search tab and hit “Search”. 4shared.com will look for the songs bearing the keywords you typed and will display the results for you. Step 3: Preview the song before download. Choose the song that you want to download by clicking on its name. 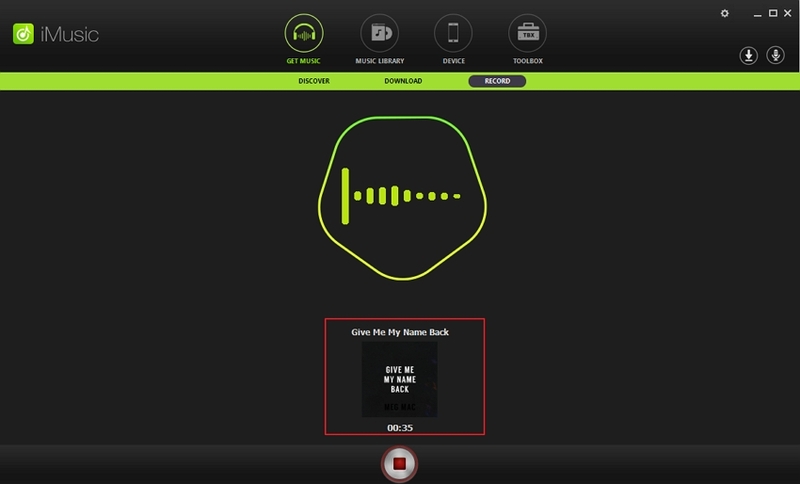 You can also play the song by hitting the play button or you can double click on the song to begin playing. You can then decide if that is the song you need. Step 4: Download the music file. 4shared will display the song and its format together with the file size, genre, artist and the year. Once you select the song, you can click the download button located at the bottom part of that file to download it. The downloaded song will be saved automatically to the “downloads” folder, and you can view it from there. iMusic is the perfect alternative for 4Shared free music downloader. iMusic not only offers a free download of music from more than 3,000 sites but also allows the recording of music from these sites. If you played a song and you liked it on any music site, you can record it and save for listening later on your device. More so, instead of listening to music from online sites, iMusic lets you download the songs to your computer and watch or listen to them whenever you want. You can also use iMusic to burn music to CD or play it with the built-in player. iMusic is also the best way to export the downloaded music to iTunes library without facing any limitation. When using iMusic, you also get a chance to split tracks and remove ads between tracks. If you are looking for a program that will support the download of music at an incredible speed, then iMusic is the recommended app for you since it contains no ads, and it supports batch download. Download music from more than 3000 music sites such as YouTube, Dailymotion, Break, Facebook, Instagram, Vimeo, Vevo, Hulu, Spotify, and much more through copying and pasting the URLs. Record music from radio stations and streaming sites and gets the identification of the songs including the title, album artist, and genre. Fix iTunes library through different solutions like; erase the dead or broken tracks on your iTunes Library, fix mislabelled songs, add missing covers automatically and remove duplicate records. Share music between a computer, iPhone, iTunes Library, iPad, iPod and Android phones making it easy to share songs. 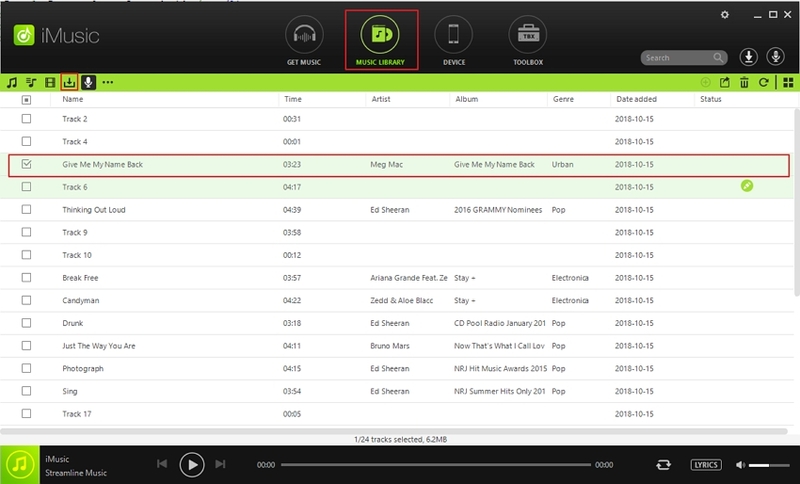 It supports batch music download where you can download multiple songs at the same time. Step 1: Launch iMusic on your computer. Ensure that iMusic is successfully installed on your computer. Then, Once it is installed, you need to launch it and then click the “Get Music” tab on the top part of the software to begin the download. 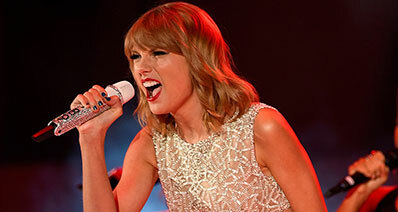 You can download songs in two ways using iMusic; from the music library, and from more than 3,000 sites. Step 2. Download songs from the Music Library. After clicking the Get Music menu, then hit “Discover” to download songs within. 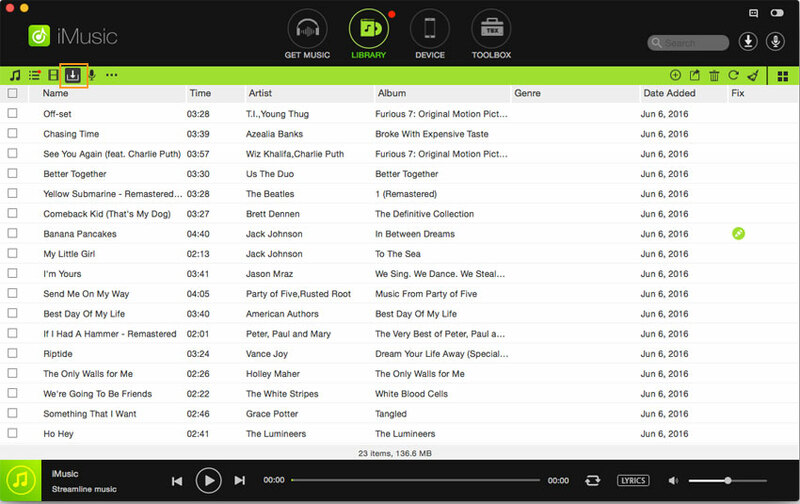 A new pop-up window will show a couple of hottest songs, artists and top lists of songs. You can search and for the music you want by typing it into the search box. 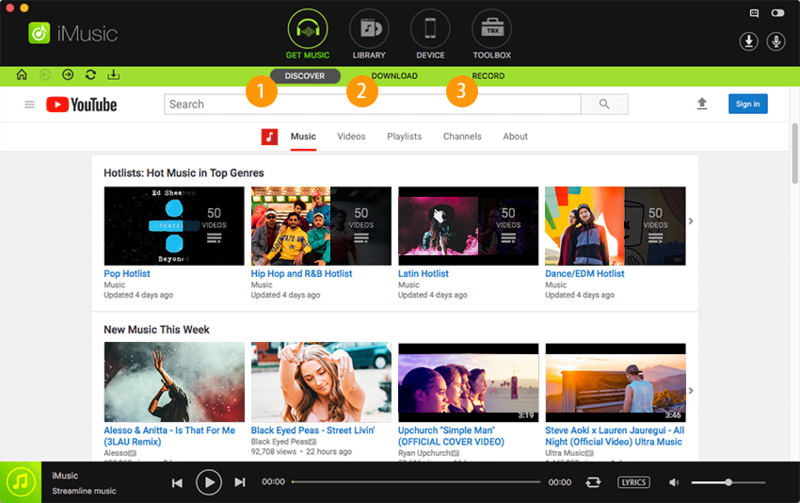 You are able to search songs depending on genre, Top Playlist, artists, or Hottest Playlists. Once you locate the song, just click the download button to download the song. Select the format of the song in the setup window and then hit “Download”. Step 3. Download music from 3000 sites. Click “Get Music” tab and choose “Download”. 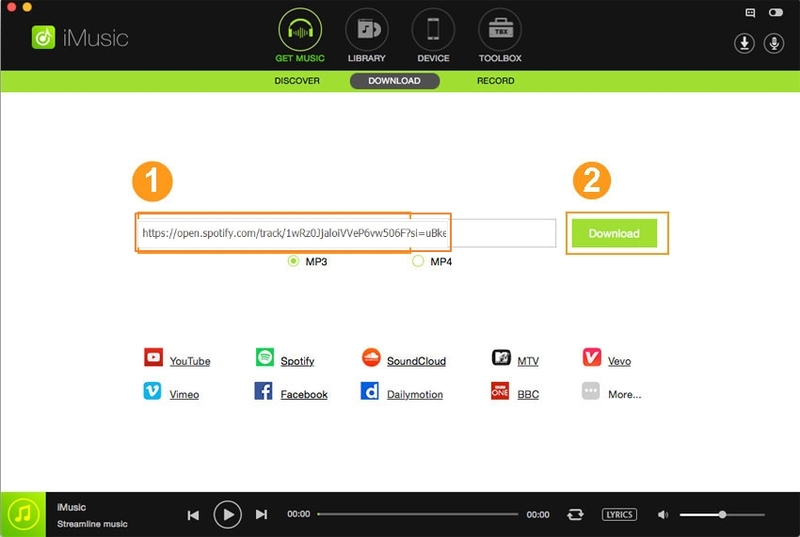 In the pop-up window, copy paste the web address of the song you want to download and click the “Download” tab to download it. In a few minutes, all your favourate songs can be downloaded and stored in your iTunes library.